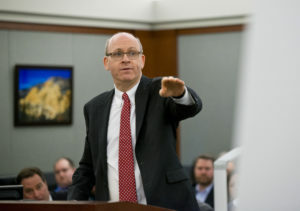 Arguments over the high stakes effort to recall two Democratic state Senators — and possibly flip control of Carson City’s upper house — came to court for the first time on Wednesday, but a decision is unlikely to emerge until later this month. The four-hour hearing ended with no clear indication on how District Court Judge Jerry Wiese — who asked only a handful of questions during the hearing — would rule on the case. 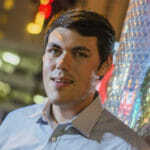 But it provided a preview from attorney Marc Elias (a prominent national Democratic attorney) and Lt. Gov. Mark Hutchison, arguing the case through his private law practice, of the first of many legal arguments set to play out before any special recall election can be called. The crux of both party’s arguments revolved around whether or not to count hundreds of requests submitted by people who initially signed the recall petition but later signed a form asking to withdraw their signature. Attorneys on both sides recognized that the court’s decision on whether or not to recognize the withdrawal requests submitted after the recall petition was turned in would essentially decide whether or not both recalls qualified for a special election. Under Nevada law, recalls are required to gather signatures from 25 percent of the voters who cast ballots in the election of the targeted office-holder. Once they gather the necessary signatures in the required 90-day window and submit them to state and local election officials, a special election should be called as long as the number of signatures turned in continues to surpass the threshold after invalid signatures are removed. But Nevada law allows for people who signed the recall petition but then changed their mind to request to strike their name from the petition before a special election is called or a complaint is filed. Democratic groups, taking full advantage of the law, submitted hundreds of these post-certification withdrawal requests for both recall efforts which, if found valid, would push the number of valid signatures below the threshold for a special election. Democratic Sens. Joyce Woodhouse and Nicole Cannizzaro — the targets of the recalls — both sued to stop the efforts from being verified last year, citing several examples of alleged invalid signatures as well as hundreds of signature withdrawal requests. The cases, which deal with similar issues, were consolidated in January. Hutchison, arguing for the recall PACs, compared the use of post-certification withdrawals to the Patriots running plays and running up the score on the Eagles after time ran out at the Super Bowl. He said the law drafted to allow the extended period to submit signature withdrawals ignored the language of the Constitution, which does not expressly allow for the withdrawal forms. Hutchison also asked the court to dismiss the withdrawals submitted on the recall targeting Woodhouse, saying that the campaign had missed the statutory deadline when it sent the court copies of all withdrawal forms a day after the filing of the initial complaint. 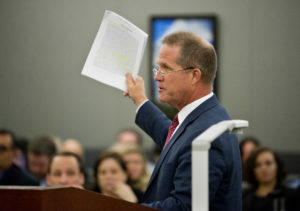 Elias countered by stating that the state Supreme Court had already ruled to uphold the constitutionality of withdrawal requests submitted prior to certification of the recall petition, and that the same principle should apply to the withdrawal forms submitted after the recall petition was turned in. 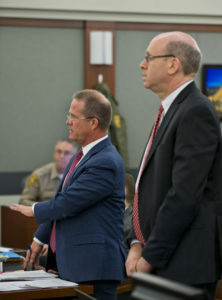 Wiese, who asked both attorneys to provide him with additional findings of fact by Feb. 14, said he would likely issue a written order in the following days and noted that whatever party was on the losing end would likely appeal the case to Nevada’s Supreme Court.